Seek Food is just one of the many great suppliers whose goods are available through the CUPS Supply Store – a single platform where you can purchase everything your coffee shop needs, at the lowest prices, on one unified invoice. More details here. The American diet is classically defined as burgers, pizza, hot dogs, fried chicken, and… crickets? Well, at least that’s part of the goal at Seek Foods, revolutionizing our diet. 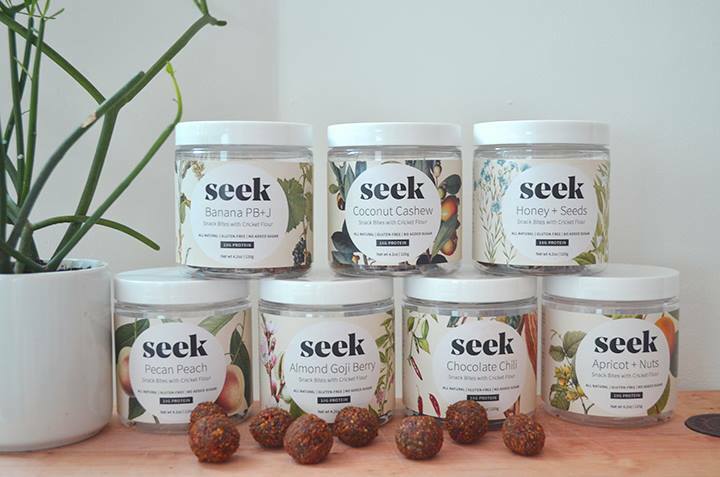 Seek is a snackfood company committed to celebrating the beauty and bounty that comes from the natural world. While some of us may easily notice some weather differences when visiting Europe, Robyn Shapiro, cofounder of Seek, noticed a less obvious difference, the way food is eaten and valued. Through her time as a rooftop farmer at Eagle Street, the nation’s first commercial green roof farm working on the Lowline, a solar powered underground park with fruits and vegetables, Robyn has been particularly motivated by food projects that lean towards the future. No, we’re not talking about food capsules, or Willy Wonka’s three-course dinner chewing gum, but just as cool, we’re talking about crickets! 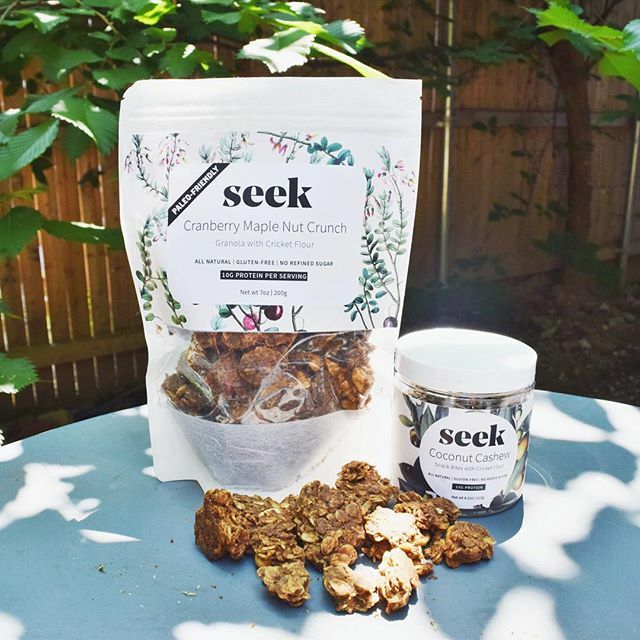 Motivated by the Western insatiable and unsustainable desire for meat, Robyn, and co-founder, Hanley Ma, set out to launch Seek as a fresh solution to comparable amounts of protein with less environmental impact and cost, by creating snacks with a cricket-flour base. Seek snacks are not only a perfect addition to your coffee shop because they’re great for the environment, but also because they’re a great option for the health conscious consumer–an incredibly quickly growing number! Let’s face it, New Yorkers don’t just want bagels and donuts anymore. As food options become more competitive alongside with coffee, an increasing number of shops are introducing the next best tasting, most interesting, healthiest options, for guilt- free eating (and spending). In addition to the fact that, they aren’t actually that strange to eat (at least not to 80% of the world), crickets are surprisingly tasty. They are delicious even with no added sugar, gluten, and when perfectly paired with the ingredients in Seek snacks. Not to mention, the cricket base in the pb&j/banana, honey/seeds, and coconut/cashew snack bites provide much more nutrients, and sustainability than its larger, mooing, counterparts. 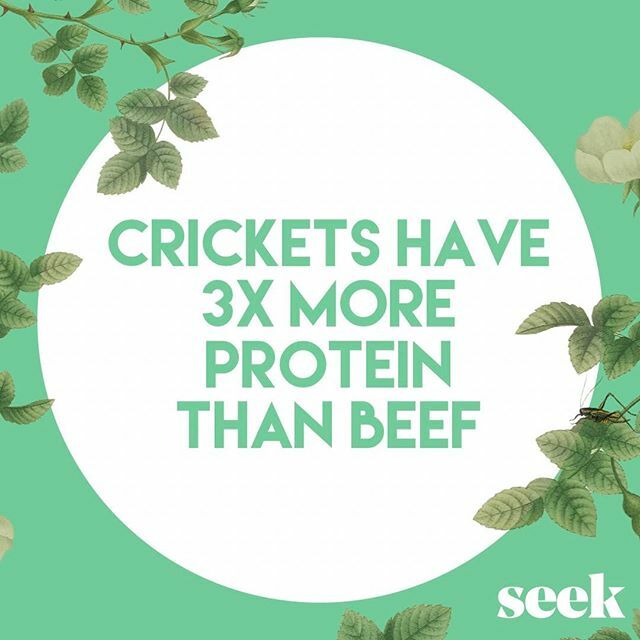 While cows have to be raised on large amounts of land, crickets can be raised in almost any environment, require less land and resources, and produce protein way more efficiently. We’re not sure how many crickets it takes to change a lightbulb, but the future for Seek is pretty bright! Out of the estimated 2000 insects currently eaten around the globe, the team is on the hunt to uncovering more about these amazing food sources and encouraging cross cultural education. Go ahead, try a snack bite or a granola today, and since they’re so sustainable, try one tomorrow, too! I’m sure we won’t even have to dare you.